BasiQ is a range of commodity products, added to Unitech Europe solution portfolio. BasiQ is offering 'all you need and nothing you don't'. Basiq is an answer to end users focusing on implementing AIDC (Auto-ID and Data Capture) solutions that only deliver the functionality they need now. They are no longer interested in paying a premium for additional features that they may, or may not, use in the future. BasiQ will enable Unitech Channel partners to take advantage of the demand for commodity AIDC products delivering everything their customers need and nothing they don't !! The MS839 delivers affordable class-leading performance and reliability in new ergonomic design that provides comfort and reduces operator fatigue. 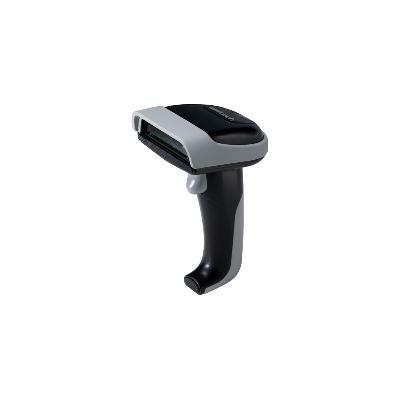 It Improved the efficiency in wide barcode reading, also features high resolution but comparably priced to CCD-based bar code scanners. - Ergonomically designed handle device balance to easy operating. With powerful decoder, MS839 allows data to be formatted and edited before it is sent to the host, making software changes unnecessary. From the point of sale, document tracking, and office automation to warehouse, the MS839 Series helps you make the most of your application-specific solutions a variety of ways. BasiQ certainly is not basic from it's features set. More importantly, it is not stinging your budget as the MS839 is budget conscious! !